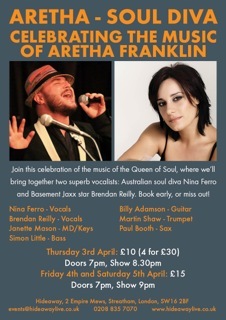 Aretha Franklin show back at Hideaway this Thursday, Friday & Saturday! So I’m back from touring Germany with Maggie Reilly and we’re straight into a run of our Aretha Franklin show at Hideaway in Streatham. This was one of our most popular shows last year and probably my favourite one to play. You can book your tickets at the Hideaway website or over the phone on 020 8835 7070. This blog entry is a little late in the day to be honest as these shows were a couple of weeks ago now, but I thought it was about time I dropped a little post about Nina Ferro’s new record Into The Light. And I’ve just been sent the first video from the show to share with you. Perfect timing! Earlier this year, Nina flew out to Nashville for a month to work on a new record totally from scratch. She met up with fellow Aussie and Nashville resident Sam Hawksley and in the space of one month manages to write and record an entire album’s worth of material. We were all very excited to hear the new record and the minute I got my copy I knew this was going to be right up my street. We played a show at the 606 not long after Nina’s return and previewed just a few of the new tracks but the official album launch took place at St. James Theatre at the beginning of this month. We had a great lineup including Sam Hawksley (who flew over for the launch), Tim Weller, Grant Windsor and Niamh Mcnally on backing vocals. Over two nights we presented the album in it’s entirety alongside some other original tunes from some of Nina’s back catalogue. The shows went down a storm. Here’s a link to Sebastian Scotney’s review of the first night’s show from the London Jazz Blog. Nina just sent me this video of us playing Cry Cry Cry at the launch gig. This is the first YouTube video I’ve seen from the shows so it’s a bit of an exclusive! Nina will be launching the album over in Melbourne on February 1st so if you are reading this from the other side of the planet you haven’t missed your chance! Watch this space for announcements of forthcoming live shows here in the UK. 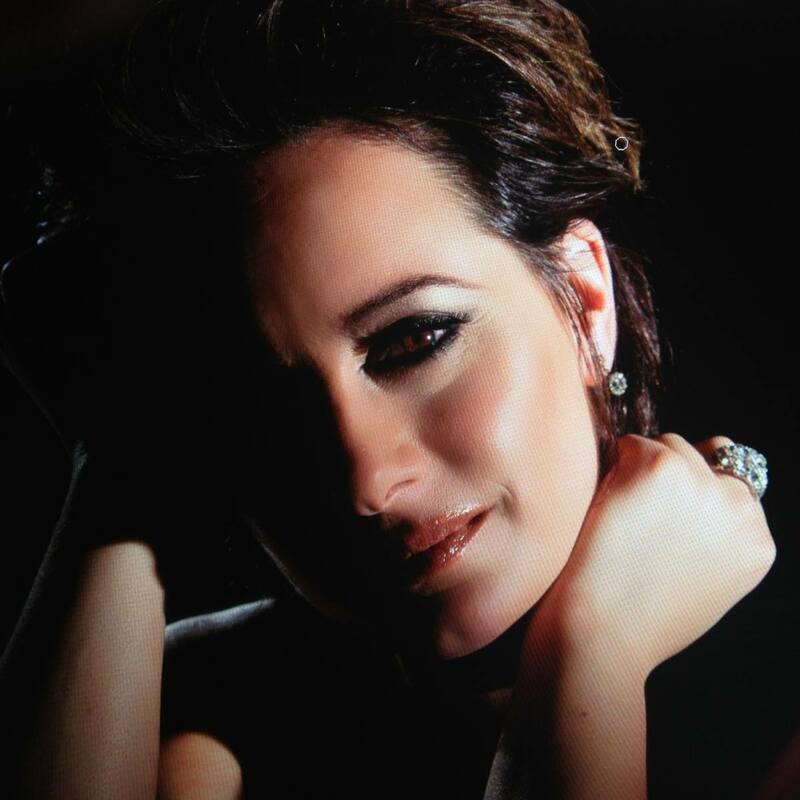 If you haven’t seen Nina Ferro live yet you’re frankly missing out and you’re going to want to get yourself along to a show at the next opportunity! We’ve been lucky enough to have Nina feature on a few shows at Hideaway this year (you can check out some videos from the Aretha Franklin set here). I suspect we’ll be playing the Into The Light set there sometime in the near future too. New videos from the Hideaway! Thought I’d drop a quick post to share a few videos that have emerged from the rather excellent Hideaway YouTube channel. Last weekend was the premiere of our new Disco Divas show with Nina Ferro and Annabel Williams featuring the music of Donna Summer, Chaka Khan, Whitney Houston and Gloria Gaynor. Here’s Nina and Annabel performing Cheryl Lynn’s Got To Be Real. If you’re only gonna watch one of these three videos, watch this one!